Nishat Linen has not only offered dresses for men or women but also for kids. The fabulous fashion brand is now offering fashion collection of dresses for the babies on the eve of winter season. These dresses will give them fashionable looking and as well as save them from cold of the winter’s cool wind and chill. 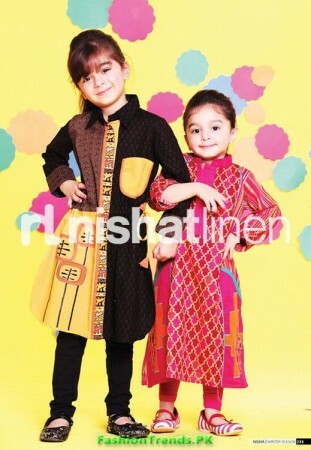 They have already presented dress collection for men and women including their kids under their own brand name like Naqsh Prince and Nisha Prince. Now the dresses are found in different fabric quality for winter season for women during 2012. 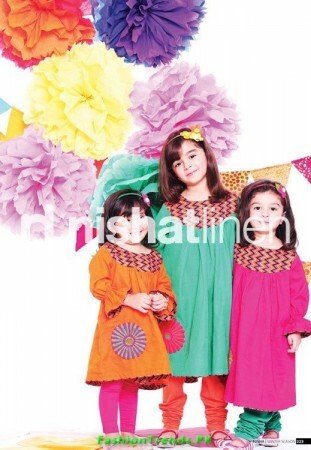 The kids collections of this brand which have been displayed previously shown the quality of the dresses. The dress quality and their structure were appreciated by a large number of women and kids. Some of the pictures of the kids dresses have been shown which are added in this article. The Nishat Linen latest winter collection for kids has a traditional touch in all dresses. 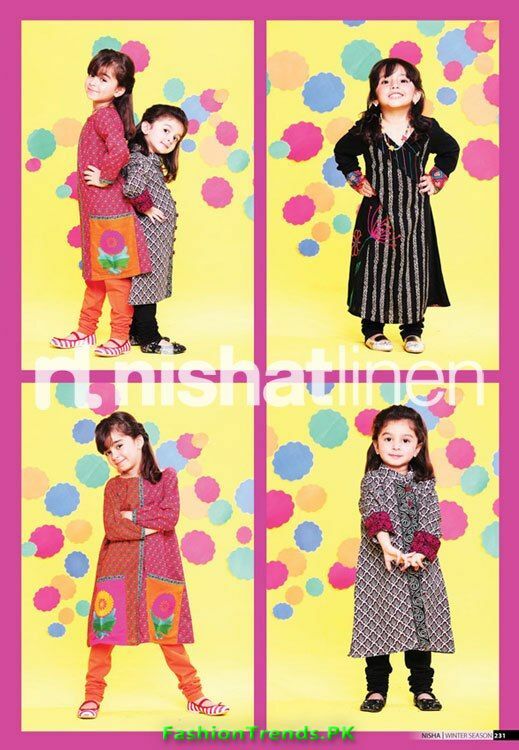 Most of the dresses are prepared in frock and long shirt shapes for girls which are paired with shalwars. 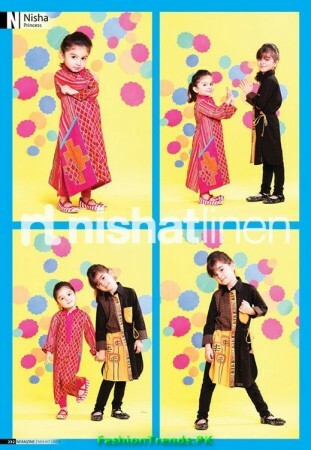 The dresses for boys got ready with shalwar kameez in stunning style and colours. 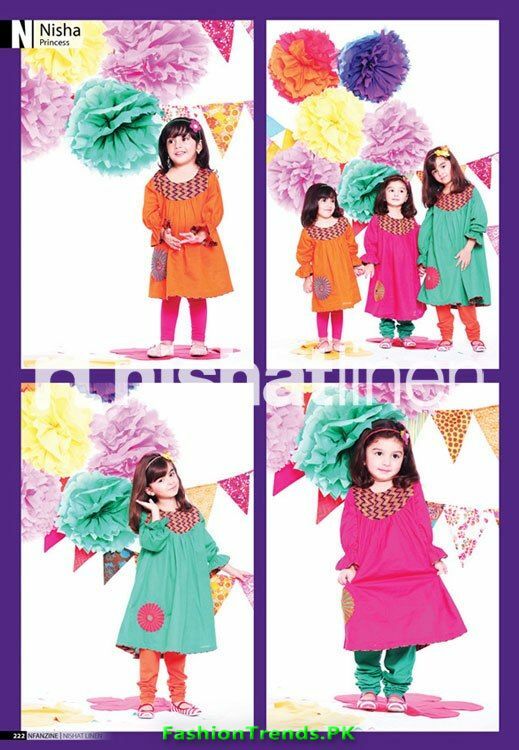 The colours of the dresses are very decent and vibrant which look jubilant on the bodies of the children. 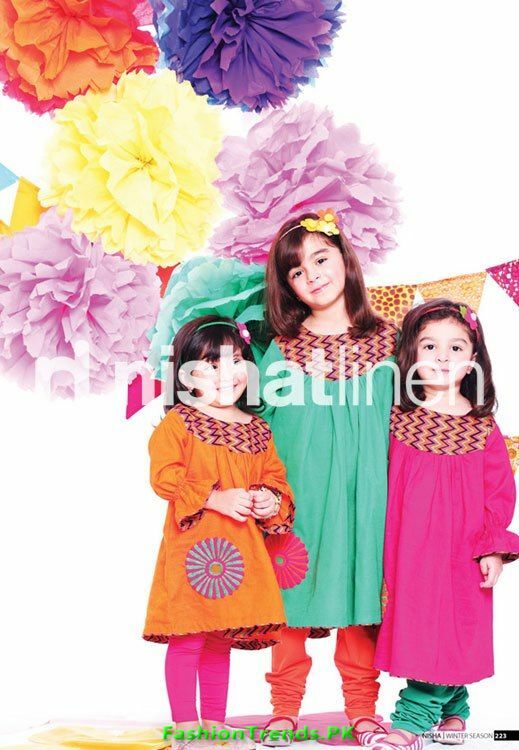 The kids dresses have floral embroidery and have prints which will make their look elegant and sober. The bright colours like orange, red, white, brown or black are used in the dresses of the kids. You may look all dresses and contact with the fashion for more details and collect these dresses while visiting there.